It is a slippery task to evaluate the quality of a work that is so deeply embedded in its own genre. B-movies, guilty pleasures, perfect pop songs, that “so-bad-it’s-good” accolade that countless genre fans will recall hearing defended in their own voices: is something worth anything if it shines through a narrow and limited critical window? Praise gets particularly muddied when in tandem with something else, existing outside whatever evaluative rubric you’re arbitrarily utilizing. It’s the classic no-contest of apples-v.-oranges, but more like comparing every fruit against honeydew, where so many other options are just inherently superior. A lab-grown radio hit shouldn’t be held to the same standards as an emerging jazz ensemble; an excellent giant-robot anime should be laureled far away from the best vintage Saturday-morning cartoon. The same could be said for any creative field, but critical readers are often hesitant to see the realm of fiction as an amalgamation of subsets, each worthy of their own, unique evaluations. 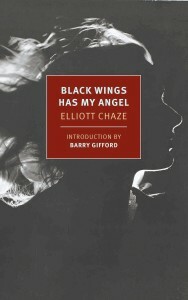 Elliott Chaze’s Black Wings Has My Angel is a perfect novel, if your idea of a novel has been cropped down to the narrow edges of the hard-boiled mystery. Chaze’s prose is as chillingly intoxicating as a whiskey-soaked ice cube: he is a master of his genre’s seedy coolness and exacting plot, and amidst bank heists and double-crosses builds a remarkably resounding relationship between narrator Tim Sunblade and his dame Virginia. They seem more than just a trope, but maybe they’re exactly that: the perfect execution of page and screen cliches, refined at the hands of an expert. Despite the temptation of leaving her at a rest stop, Tim and Virginia make it to Cripple Creek and begin hatching a plan to rob a bank. By coordinating the movements of a system of armored cars and scouting the activity (or lack thereof) around the abandoned Katie Llewelyn mineshaft, they put into motion a series of covers and calculations to see their plan to fruition. A particular thrill of Black Wings is watching Tim’s classic cool melt away for Virginia. “I wanted to hit her in the mouth,” he says, “but more than that I wanted to hear what she had to say.” Fleshing out these characters makes the book a more well-rounded story to read, but Virginia’s backstory is interesting, first and foremost, to Tim. 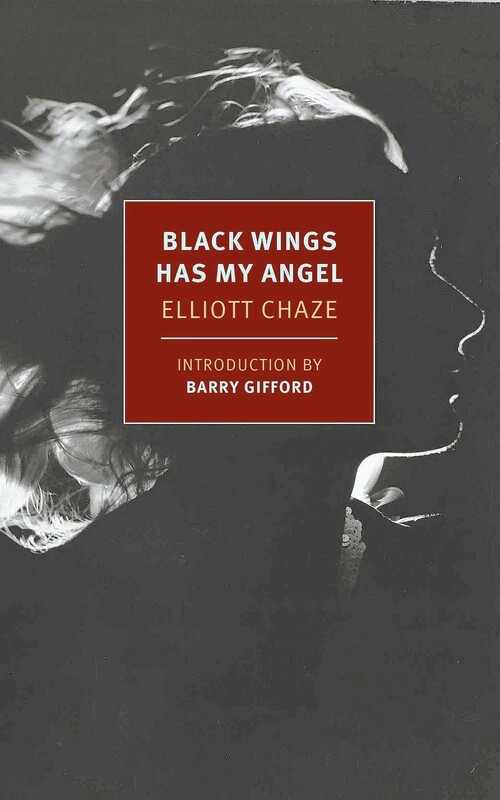 Black Wings is shaped by its characters’ genuine interest in each other: they open up about their history, their previous troubles with the law, even their real names, and watching the details emerge makes that love all the more believable. It’s difficult to read a book so perfectly vintage and so masterfully on point and not wonder, too, where those years have gone.